of granulation may surround the sequestrum. 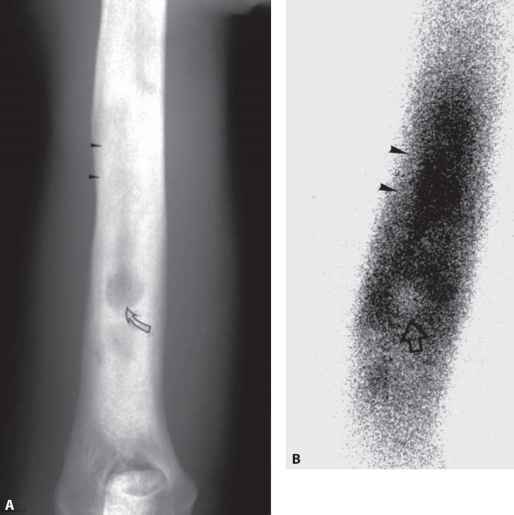 When infection is protracted, sclerosing osteomyelitis may ensue. 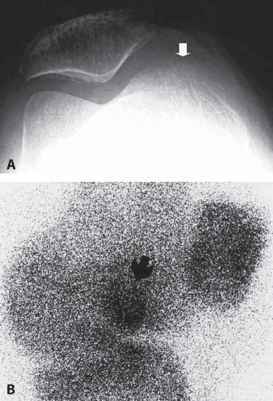 Chronic osteomyelitis is manifested as irregular thickening of the cortex, periosteum, and trabecular bone, frequently with bone defect and deformity (Fig. 6.4A).